You probably know about the WordPress content management system (CMS). After all, millions of websites are on it. But did you know that HubSpot also offers a CMS? (They actually call it a "content optimization system" or COS, but it's essentially the same thing.) And it just might be a great choice if you're looking to take your marketing efforts to the next level and boost your company's revenue. Before you make the switch though, let's take a closer look at what you can gain — and what you could lose — by moving to HubSpot's CMS. Weigh the pros and cons below, then decide if it's the right move for you and your business. HubSpot manages everything. It keeps everything updated, secure and running smoothly at all times. That's one less thing for you to worry about during your busy day. Everything you need is in one place. When you create your site elsewhere, even on WordPress, you will find that you may have to go to other sources for certain features: a separate site for analytics, one for contacts, another for newsletters, etc. With HubSpot, this isn't the case. Everything is included in one, easy-to-use system. Simplicity at its best. It is user-friendly and requires no programming knowledge. Non-tech-savvy users, rejoice! HubSpot makes updating your content as easy as 1-2-3. You're not expected to be able to code or have a high degree of technical knowledge. Designs are automatically responsive. Responsive designs look great no matter what kind of screen you use to view them — smart phones, desktop computers, tablets, wherever. HubSpot automatically ensures that all of your content is responsive with no effort on your part. You'll get fantastic support. HubSpot's help desk is quick to respond and immensely helpful, so if you do run across a problem, you'll be able to get it resolved quickly. Transitioning is painless. If you'd like, HubSpot can recreate your website design for you. (Note that they won't optimize anything; they only update it to work with HubSpot's system.) Once you're ready to make the changes live, you can do so with the click of a button. 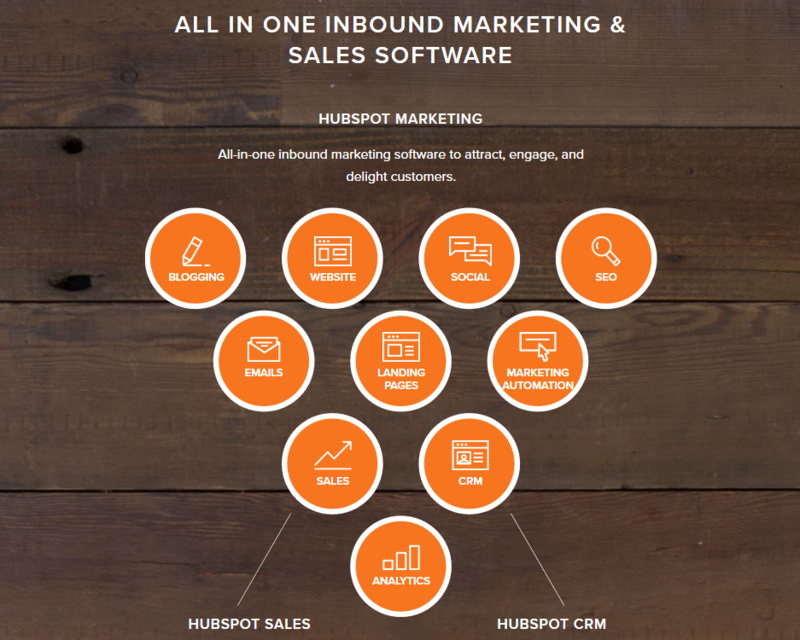 HubSpot will help you get better at marketing. Marketing is what HubSpot is all about, so it make sense that the HubSpot blog is full of helpful information. Their website also offers an academy section with educational training videos that will help you understand inbound marketing and start getting better results fast! ... your site is for marketing, building contacts and gaining new leads. HubSpot will be a perfect match and a powerful tool to help you improve your marketing and increase revenue. With all this power at your fingertips, your team will thank you... right? It sounds great so far, right? But before you sign up, you should know that it's not all sunshine and roses. HubSpot's CMS is built with a specific focus in mind, and because of this, it does have some limitations. There is no server-side scripting. For developers, this means you'll be a bit limited on how you can customize the website and will not be able to add your own extra functionality. HubSpot manages everything. Wait, didn't we list this as an advantage? We did. But it can also be a negative, depending on your perspective. If you or your developer like to be hands-on with your hosting cpanel, server and settings, you won't have as much control as you probably want. HubSpot uses its own scripting language. A lot of developers already know the ins and outs of WordPress, but not as many know HubSpot's language: HubL. This means you either have to throw your team a curveball and ask them to learn, or pay extra for an expert. It's not free (or cheap). Unlike open source CMSs like WordPress, HubSpot is not open source and, therefore, isn't free. WordPress has tons of free themes and plugins to choose from. With HubSpot, expect to pay. ...you enjoy having more control over things and picking and choosing what works best for you. If that's the case, stick with WordPress. Likewise, if your site is designed to offer products and certain services, HubSpot's limitations will likely be too much. There is some good news about these limitations though. If the HubSpot team identifies areas on your site where you are using a feature they don't offer, they will let you know and help you work around it. Long-term users wish they'd done it sooner. HubSpot has helped them increase results (leads and contacts) while saving them time and helping them make more money. Everyone loves their marketing consultants. "Everyone" might seem an over-exaggeration, but it was truly difficult to find someone who had a negative thing to say. HubSpot has their own consultants, and plenty of great marketing agencies (*cough*Like us! *cough*) use it too. With the right help, you'll see serious results. The tools and interface are awesome. Reports are easy to read and understand, and anyone can quickly learn to use it. There's no time wasted on learning to navigate a clunky or confusing system. Instead, the great interface lets you focus on what's truly important: building your content and strategy! They didn't have the time, staff or energy to utilize HubSpot to the fullest. Make no mistake: Inbound marketing is a lot of work. HubSpot will grant you all the tools you need to succeed, but you'll still need to put forth some serious effort (content creation, strategy, etc.) to reap the rewards. It's not a magic pill. They wanted to save money. HubSpot isn't cheap. If the cost is the only thing holding you back, consider holding off or going half-way in (see below) until you can afford to invest completely. Consider the decision carefully and make sure you can maximize your efforts with HubSpot before you commit. They needed to regain flexibility. Sometimes businesses think they can go without the huge WordPress library of plugins, only to realize later that they can't. Sometimes they don't realize how much control they will lose until it's gone. Don't make that mistake! Do your research and make an informed decision. Some pieces fit, but others don't? You're not out of options. Yes, there is! (Who doesn't want to have their cake and eat it, too?) HubSpot has a lot to offer, but if its COS/CMS is the complete finished puzzle, you can start with just a few pieces. You can get started today with HubSpot's contact lists and email system, for example. Or use it only for your blog and landing pages while hosting the rest of your site elsewhere with the themes and plugins you love from WordPress. You don't have to go all in to get a taste of what HubSpot has to offer. As your business grows, you might decide to fully commit. But there's no rush to take the plunge, and no reason not to start reaping some of the benefits of HubSpot's inbound marketing tools today. In the end, it's important to remember that HubSpot, like WordPress, is ultimately just a tool; what matters is how you use it.